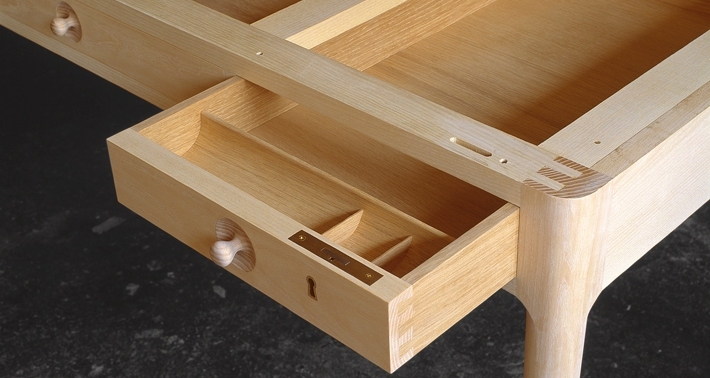 Hans J. Wegner designed this desk for Andreas Tuck in 1955. PP Møbler took over production in 1972. 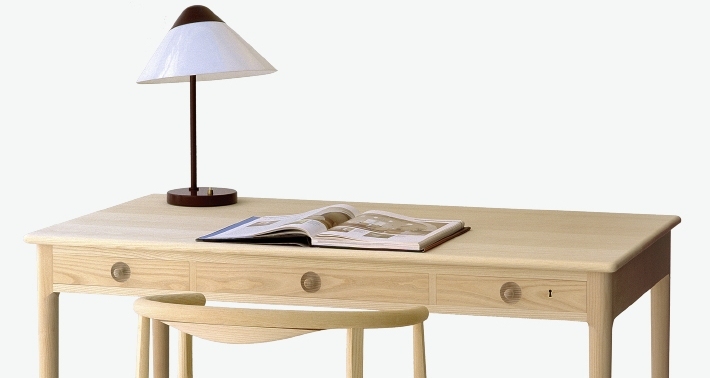 The desk is a piece of classic Danish craftsmanship – simple, functional and modest. 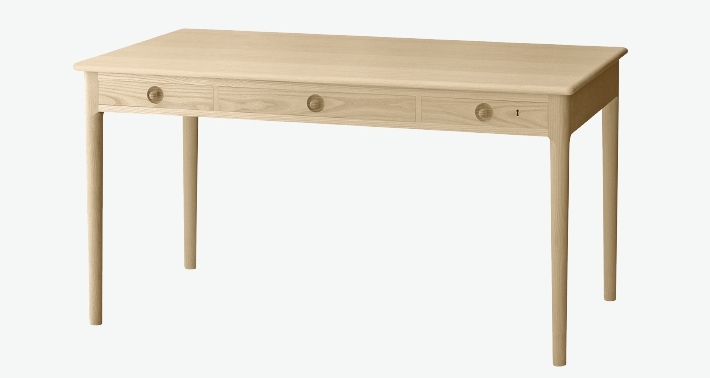 The PP 305 desk is available in oak and ash. 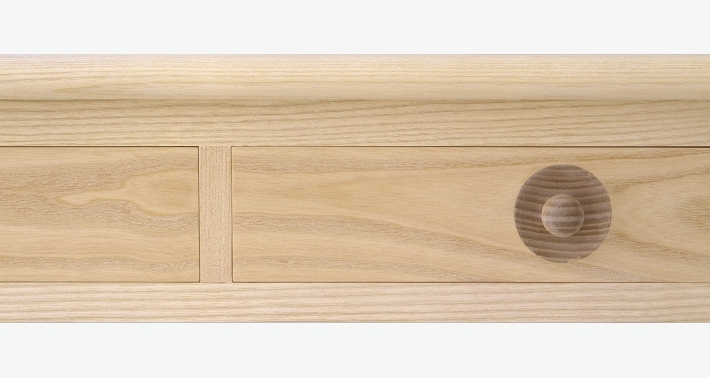 Both wood types can be either soap treated, oil treated (white or clear) and lacquered.